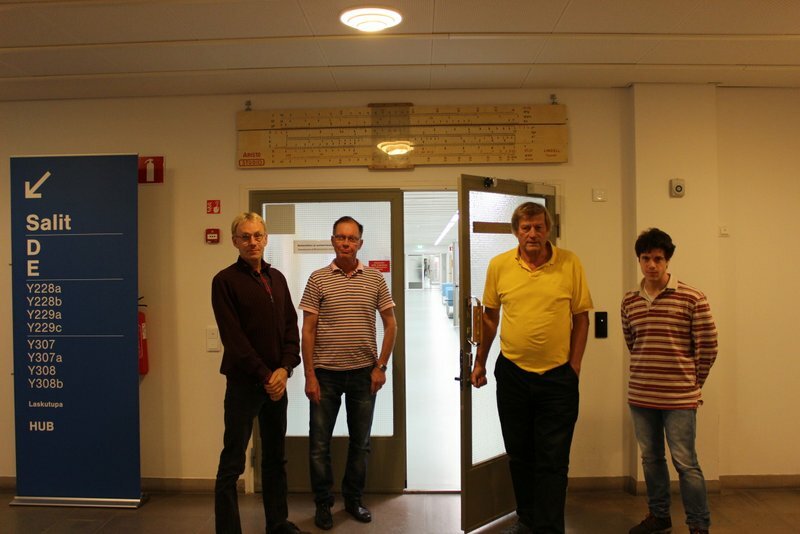 Systems Analysis Laboratory is located on the Otaniemi campus of Aalto University some 10 km west of Helsinki. You can easily reach us from Helsinki center with the metro. See reittiopas.hsl.fi for more details. 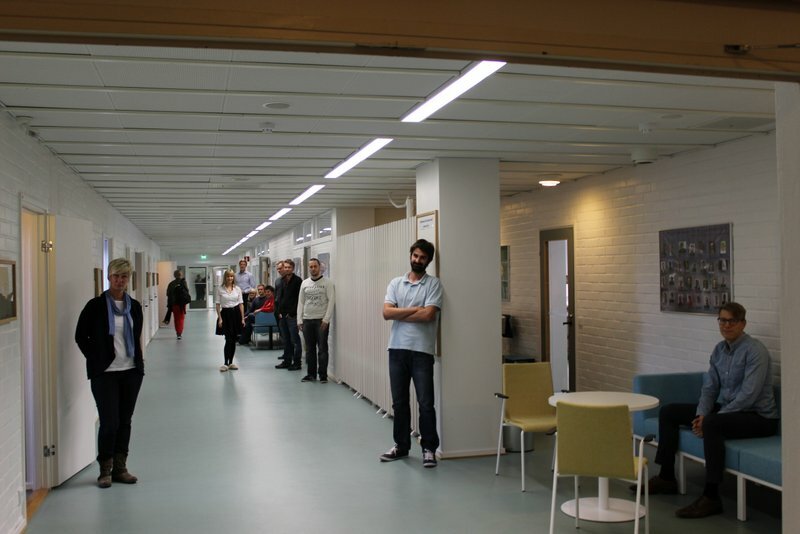 Systems Analysis Laboratory is located on the 2nd floor of Undergraduate Center, Otakaari 1 (the old main building of HUT). Please see instructions below on how to find here. 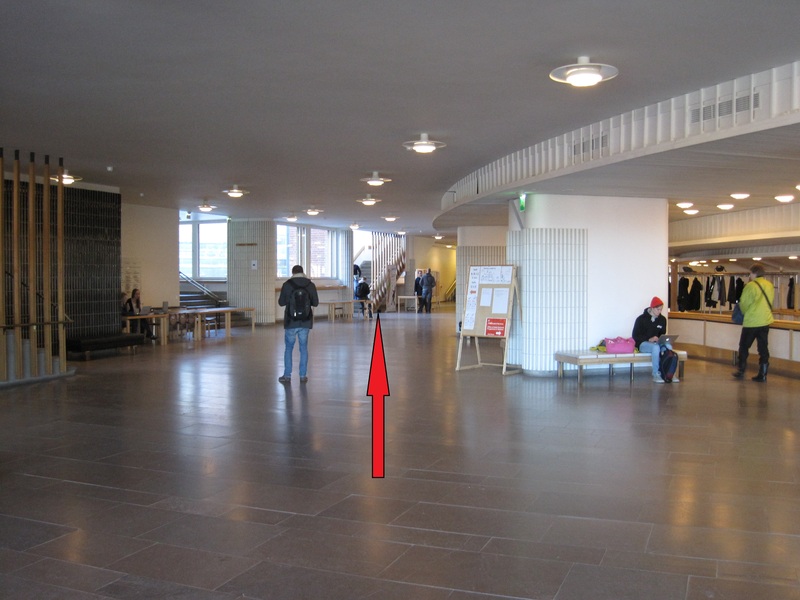 You can also use our interactive guiding system SALguide on your mobile device when you arrive in Otaniemi. For the easiest way to find the person you need, see our corridor map for their rooms and office hours. 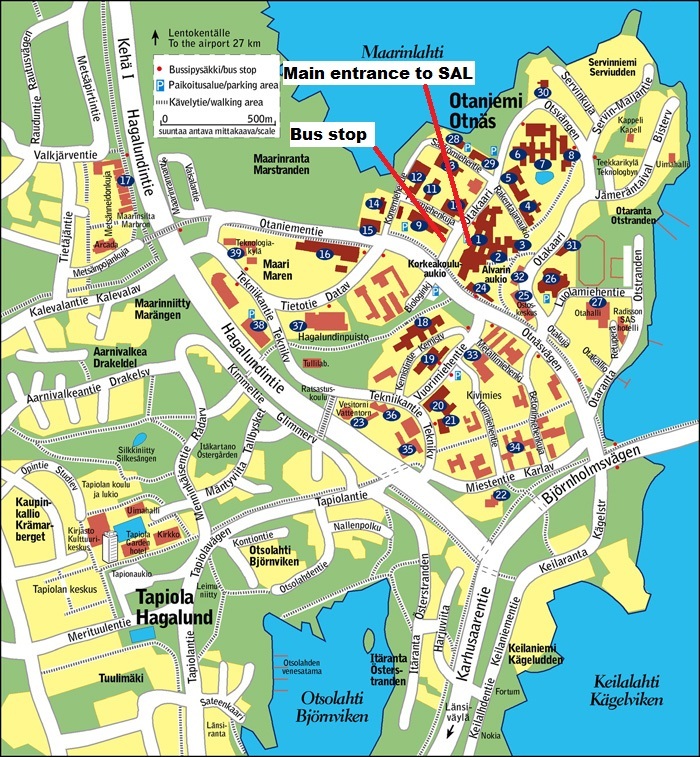 Map of Otaniemi, we are located in building n:o 1, 2nd floor. 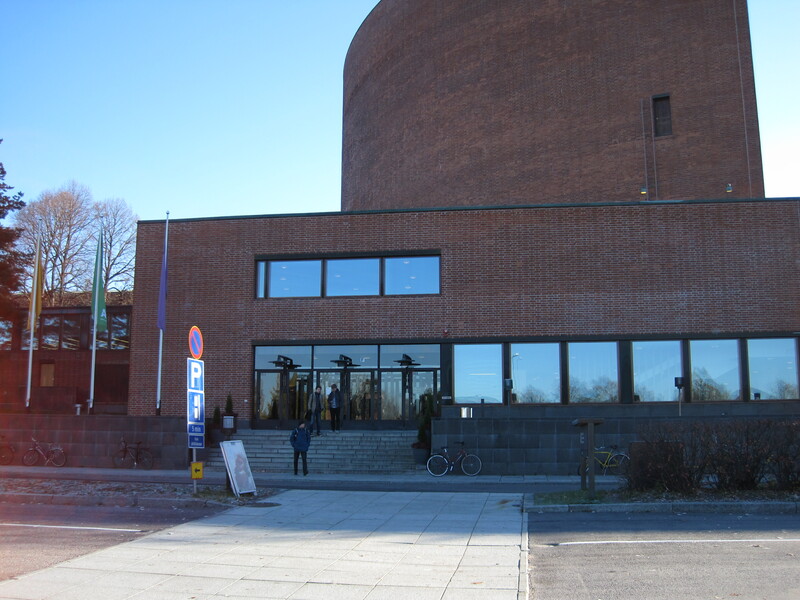 Use the main entrance at Otakaari 1F door. SAL is to the left. Please come through these doors. 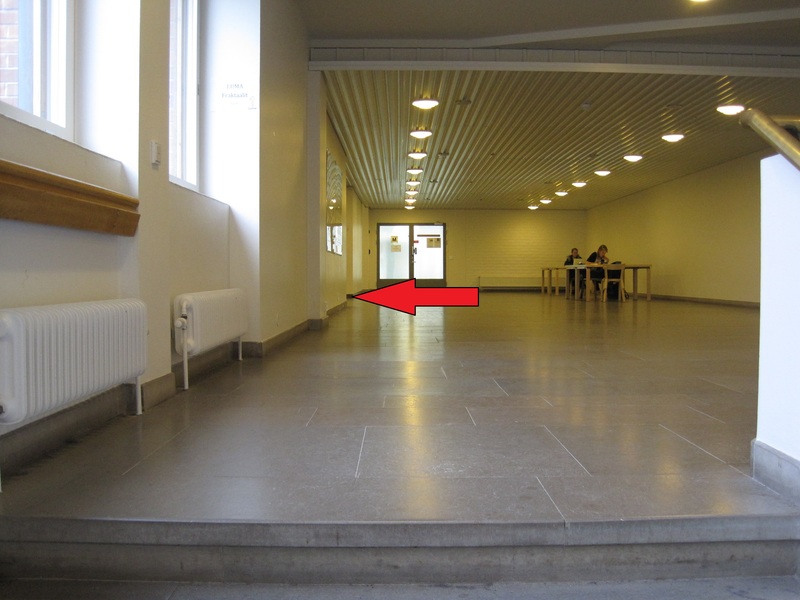 The meeting room Riihi is located further down the corridor.